Although the above method makes a reasonable assessment of the vibration level, it must be recognized that there are many factors that cause the actual vibration level to be higher than the estimated level, such as obstacles, machine wear or damage, lack of support, and vibration In the soil of the class resonance results can only be used as a reference value, can not be used as an accurate value. The results of the estimates can be used as a basis for signing a construction agreement or as an allowable limit for the development of piling vibration. It is important to select a suitable pile hammer to maintain a stable penetration rate when assessing the performance of the pile equipment, which can minimize vibration hazards, including the strength and duration of vibration. In the main project before piling, you can first use a steel sheet piles try to play. It should be noted that the vibration will be a great change, even with the same hammer with the same pile root deep into the soil, hit the accuracy, revealing the height of the ground, the guidance system, and the adjacent pile connection, The obstacles encountered and the efficiency of the operator and other factors, will have an impact on vibration. Curve and calculation formulas tend to overestimate the pp near the pile. Static pressure pile if the use of static pressure piling do not need to calculate, because in order to ensure the verticality of the steel sheet piles can ignore the vibration effect of IL332 vibration pile driver for vibration pile driver, in the calculation of the rated power divided by the frequency according to the manufacturer The information provided by the unit of power is waves IN. Mays), the unit of frequency is TS so the last unit is N · mT. Ie J / TENI Robin Proposal C = 07. BS528 recommended C = 1.0, the preferred part of the former part of the field records show that vibration piling often when the vibration frequency is low when the upper limit of vibration, which is the ground resonance response, "no resonance" vibration piling machine can Avoid this situation. There are also some scholars [Hk (200, Hdymn (200D) that the hammering energy per unit cycle of the soil resistance encountered during piling is less affected by the vibration. 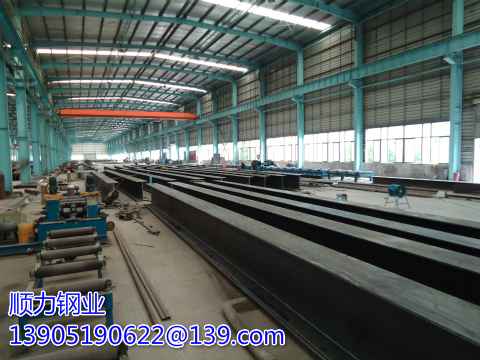 In accordance with the current theoretical level, it is more reasonable to follow the EN19935 The Larsen Steel Sheet Pile purchase technique uses energy / cycle as a unit in the basic empirical formula.